The AUTOSAR development partnership is adding a new standard to its line-up that is based on POSIX operating systems: the “AUTOSAR Adaptive Platform”. The AUTOSAR Adaptive Platform is a future-proof basis for automotive ECUs. A key advantage of the new standard is the ability to develop ECU applications independently of one another in distributed work groups. While the development of conventional ECUs was driven primarily by stringent real-time and safety requirements, today aspects such as updating and upgrading capability are primary considerations. These involve dynamic reloading of software components, the use of standard libraries – such as for image analysis –, self-learning of functions and accelerated production cycles. The previous standard will continue to be offered under the name AUTOSAR Classic Platform. The new AUTOSAR Adaptive software standard enables more powerful and more flexible E/E architectures in the vehicle. Ethernet-based ECUs can now be used as central application servers in an AUTOSAR Adaptive architecture. The big advantage: Adaptive ECUs make it possible to update applications over a vehicle’s entire life cycle and add new software functions at a later time. The Vector Congress took place on November 29th and 30th 2016 in Stuttgart (Germany). More than 350 international guests accepted the invitation of the Vector Executive Board and met at the „Alte Stuttgarter Reithalle“ for the 8th edition of the industry gathering for Automotive Embedded Electronics. Presentation "The Adaptive Platform For Future Use Cases"
The object-oriented approach of the AUTOSAR Adaptive Platform provides an optimal foundation for computing-intensive tasks with large amounts of data, e.g. algorithms for automated driving. The AUTOSAR Adaptive Platform offers more flexible options for the in-vehicle ECU architecture. Domain controllers enable central processing of functions which is independent of the sensor/actuator level. This lets users develop applications without having to define their final distribution to the individual ECUs beforehand. In the future, sensors and actuators of previous applications will continue to be implemented within the existing AUTOSAR Classic Platform, and they are fully compatible with the new AUTOSAR Adaptive Platform. In the previous approach, the individual ECUs in the vehicle were statically integrated into the total system. Therefore, connection relationships had to be defined at the time of configuration. Only very limited modifications could be made at runtime. 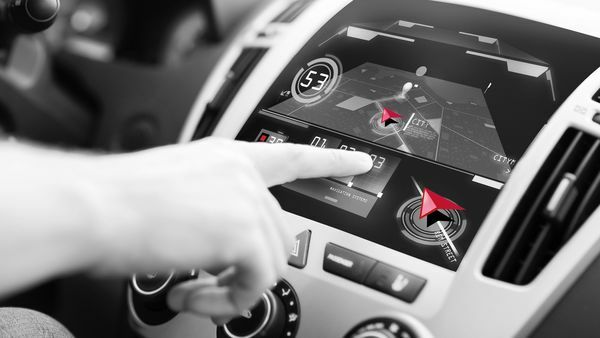 Applications (“Adaptive Applications”) that are based on the AUTOSAR Adaptive Platform offer a crucial advantage: They can be integrated into the system at runtime, which means that they can be developed, tested and distributed or updated independently of one another. Service-oriented communication also makes it possible to integrate applications into the total system at any desired time. It is compatible with SOME/IP (SD) of the AUTOSAR Classic Platform. POSIX (Portable Operating System Interface) is a standardized programming interface between the application and the operating system and was not originally developed for the automotive industry. However, POSIX operating systems make software development for the vehicle much more flexible. Adaptive applications that exclusively utilize the newly defined “AUTOSAR Runtime Environment for Adaptive Applications (ARA)” interface along with the “PSE51” POSIX subset are considered portable applications. The POSIX approach enables users to distribute these applications to the existing ECUs in any way desired. The first release of the AUTOSAR Adaptive Platform was published in March 2017. Diagnostic services enable the system to read out error messages from the applications, manipulate them and react to them. The AUTOSAR Adaptive Platform will be further developed with 6 to 9 month release cycles. Adaptive MICROSAR is the Vector solution for vehicles with an E/E architecture based on the AUTOSAR Adaptive Platform. It provides the AUTOSAR Runtime for Adaptive Applications (ARA) and comprises an efficient development environment integrated in Eclipse. Adaptive MICROSAR targets high performance ECUs such as in-vehicle application servers, ADAS ECUs and infotainment systems. Vector provides you with a complete safety solution up to ASIL D, ranging from the hypervisor, the POSIX operating system to the ARA.